Hastings Convenient Care, PC is open to the Hastings, Grand Island and Kearney Nebraska community providing affordable, premier, walk-in health care that allows patients to be seen “today” with their urgent health care questions and concerns. The philosophy of Hastings Convenient Care, PC is to serve the urgent health care needs of the community on a first come first serve walk-in basis. To provide the most comprehensive health care, we will offer digital x-ray services, on-site digital laboratory services, and electronic medical records (EMR). Hastings Convenient Care, PC is designed to complement the medical care that your doctor provides, and as APRNs and PAs, we are specialized in caring for problems that are ongoing and in caring for your preventive health care needs on an urgent basis. Our modern on-site lab will allow us to give you quick results for blood sugars, influenza screens, strep screens, urine drug screens, pregnancy tests, urine analysis, and mono tests. In addition, we have ability to have same day return of complete blood counts, cholesterol screenings, thyroid testing, sexually transmitted infections, and more. We offer the latest in healthcare information technology to keep HCC, PC operating at top efficiency. EMR includes technology called ePrescribe that will allow us to send your prescription straight to the pharmacy, saving you time. This will reduce medication errors compared to handwritten prescriptions. An Urgent Care facility is a medical facility, much like a doctor’s office, where ambulatory patients can be treated on a walk-in basis, without an appointment, and receive immediate non-emergency care (National Med Network, Consultants in Urgent care). Most people can’t tell the differences between a doctor’s office and an urgent care clinic. Urgent care facilities are staffed by APRNs and PAs, with off-site physician supervision. We can treat minor conditions, such as sinus infections or earaches, in addition to more serious conditions such as sprains, strains, lacerations, contusions, back pain, fractures and even minor surgeries. We are happy to provide care for all ages. We realize that your time is valuable, so we strive to have as minimal a wait as possible. 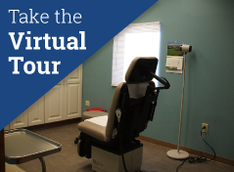 The average waiting time at our clinic is generally between 15 and 45 minutes. However, if you have certain time limitations, feel free to let us know and we will do our best to get you in and out within your time constraints. According to the Centers for Disease Control (CDC), patient visits to hospital emergency departments currently average 3.2 hours (emergency department overcrowding) and approximately 40% of visits are non-urgent or semi-urgent. Many of the problems currently treated in hospital emergency departments, however, can receive timely treatment in less than one hour in an urgent care center. These problems aggravate the overcrowded emergency departments of the country, and many would be better treated in an urgent care center. With the first urgent care centers opening about 20 years ago and the first CCCs in 2000, the industry has seen rapid growth, with multiple immediate care centers serving most communities in America. These healthcare systems compliments primary care by functioning as overflow valves for the public, when timely appointments to primary care offices are not available or after regular office hours when patients needing immediate attention would otherwise be diverted to a hospital emergency department. In addition, urgent care centers provide significant savings to patients and insurers over the alternative of hospital emergency departments for episodic care. The exploding growth of urgent care clinics is a response to consumer need. This new type of healthcare system provides reduced emergency department visits and saves precious healthcare resources for those with true emergencies while improving access to specialists for patients with chronic or life-threatening illnesses. Further collaboration among physicians, insurers, and the urgent care industry may help fill the gap in unmet healthcare needs of many United States consumers. Please contact your insurance provider to ensure network status.